Hewlett-Packard is a leading global provider of server/storage, Internet and intranet solutions, services, communications products and measurement solutions, all of which are recognized for excellence in quality and support. Hewlett-Packard envisions a world in which people and businesses derive new value from the Internet by moving beyond Web-based access to information. Inventing the devices and technologies that provide access, building the back-end systems that support the billions of Internet transactions generated, and developing the software that ensures information is always protected. Hewlett-Packard understands how to build these new open-services marketplace and leading this next logical evolution of the Net, working closely with world-class partners. DCi, as a Hewlett-Packard Authorized Service Partner, has certified consultants dedicated to assist with HP hardware, software and network/storage management solutions. Microsoft is the worldwide leader in software for personal and business computing. Microsoft strives to produce innovative products and services that meet clients' evolving needs. Microsoft core business offerings provide the opportunity to provide a vast array of solutions to our customers. As a Microsoft “Certified Solution Provider”, DCi provides value-added services to help address business issues for all sizes of organizations in various industries. Helping customers use Microsoft offerings to provide creative business solutions is key to both Microsoft’s and DCi’s long-term success. Cisco Systems is the worldwide networking leader. Cisco's networking solutions connect people, computing devices and computer networks, allowing people to access or transfer information without regard to differences in time, place or type of computer system. Cisco provides end-to-end networking solutions that customers use to build a unified information infrastructure of their own, or to connect to someone else's network. An end-to-end networking solution is one that provides a common architecture that delivers consistent network services to all users. The broader the range of network services, the more capabilities a network can provide to users connected to it. Cisco's offers the industry's broadest range of hardware products used to form information networks or give people access to those networks. Cisco is unique in its ability to provide all IOS elements together with partners. As a Cisco Reseller Partner”, and through alliances with “Gold Partners”, DCi provides complete networking solutions that ensures its sales and support organizations are better properly positioned to provide and support Cisco solutions. DCi has a team of Cisco certified networking and consulting specialists that will work to design and implement a solution that meets your business requirements. Revolutionizing WiFi through the power of the cloud and open standards. Liberates networks from proprietary hardware and utilize the full power of the cloud to deliver cognitive WiFi: a self-driving network that makes things remarkably simple and reliable at massive scale. Mojo Network’s innovations empower IT with better user experiences, more options, and more velocity, all at much lower costs. The most powerful interactive whiteboarding solution. eBeam Edge+ transforms any flat surface into a plug-n-play, interactive teaching experience. With a built in rechargeable battery and a wireless dongle to connect to your computer, room setup is flexible and easy and completely wireless. Established in 2002, Barracuda Networks, Inc. is the leading provider of enterprise-class spam firewall solutions for comprehensive email protection. Winner of numerous industry honors, including Network Computing's Editor's Choice Award and the 2004 Well-Connected Award, its flagship products, the Barracuda Spam Firewall and Barracuda Spam Firewall - Outbound Mode, provide spam and virus protection for over 20,000 customers around the world. In addition, Barracuda Networks expanded its product portfolio in April 2005 launching the Barracuda Spyware Firewall, the first true comprehensive anti-spyware and Web filtering gateway appliance. The Barracuda Spyware Firewall combines preventative, reactive and proactive measures to form a complete anti-spyware solution for businesses of all sizes. Dell Inc. is a trusted and diversified information-technology supplier and partner, and sells a comprehensive portfolio of products and services directly to customers worldwide. Dell's climb to market leadership is the result of a persistent focus on delivering the best possible customer experience by directly selling standards-based computing products and services. as value-added security services, SonicWALL provides complete protection from a wide range of network security threats. SonicWALL security solutions are deployed across a variety of markets, including SOHO, SMB, enterprise VPN, service providers, retail/point-of-sale, education, healthcare, and government. 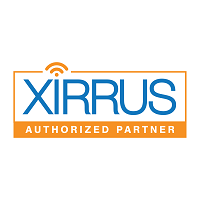 Xirrus is a provider of Wireless products, founded on the premise that “wireless would replace wired as the primary choice for network access” and they continue to hold that vision — transforming wired to wireless by providing the most powerful, scalable, and simple wireless access solutions to organizations who depend on it for day-to-day operations.